Usually when I get something cropped, it comes just to the top of my jeans, so I've never really worn anything too cropped before. I never thought I had the figure for it, and I'm even a little hesitant to share these, but here goes. The top was too cute not to share! I like that this look has a bit of a 90's school vibe going on - the cropped top, the washed out denim and the hi-tops. I love the high top wedges - whoever invented the wedge trainer is definitely a genius in my eye. I have 2, and about to get my 3rd. I know the trend is a bit old, but I'm going to rock it for years to come! How do you feel about cropped tops? 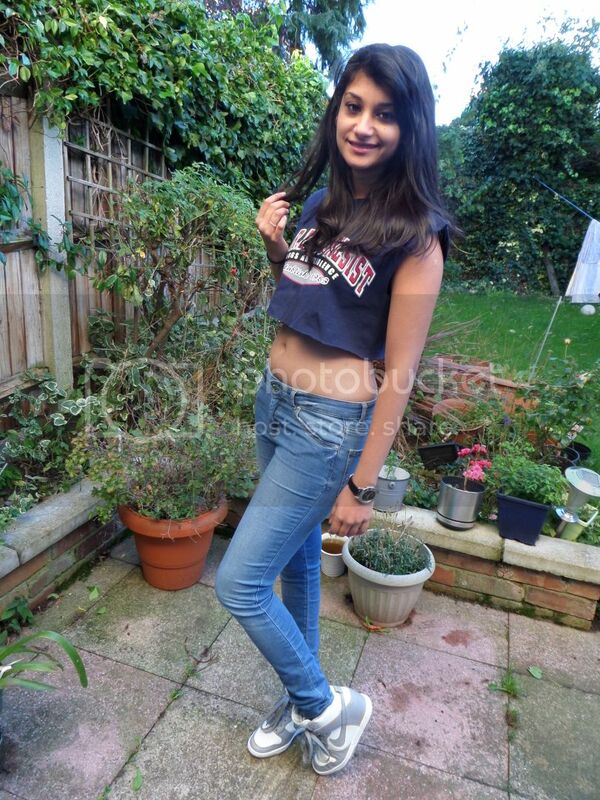 I love this look on you, Sherin - and the way you've played up the athletic vibe with those awesome trainers! I'm a huge fan of crop tops. They are perfect worn alone, or layered over longer tees/tanks!! So cute! I love the athletic look on you. Love the top! Have just discovered Brag Vintage it looks great. You are making me feel a bit cold in your crop top though, I am afraid I can't wear crop tops, they just look wrong on me. you can totally pull it off! i love crop tops paired with a high waisted skirt! 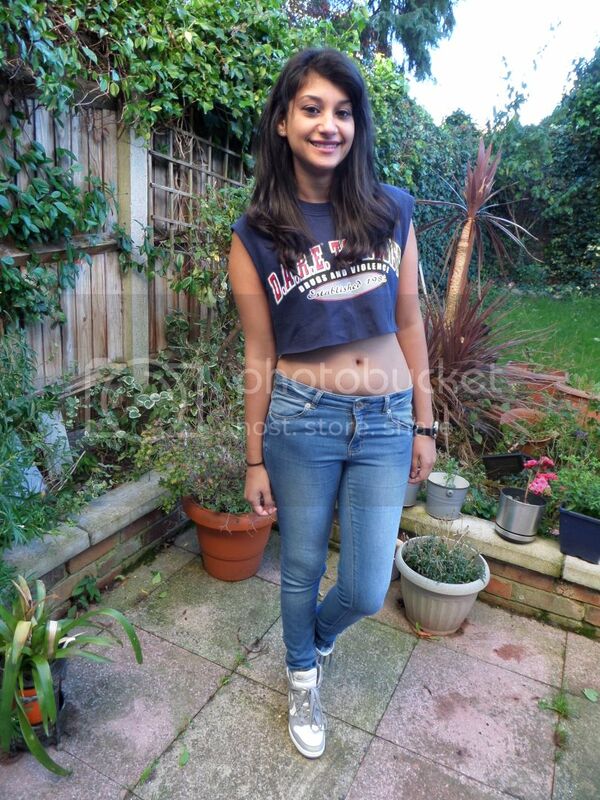 OK you look amazing, if I had your figure I would definitely wear crop tops! You look amazing - and psh, your figure is perfect for a crop top! I wore one once with a maxi skirt, but I get so damn self conscious. I want to find the perfect one to wear with a high-waisted skirt!